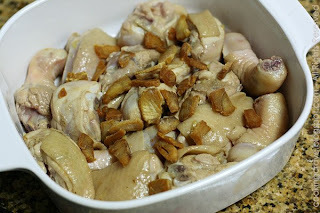 Today, I'm going to share this simple and easy chicken dish with all of you. There are times when we do run out of ideas on what to cook for our family. 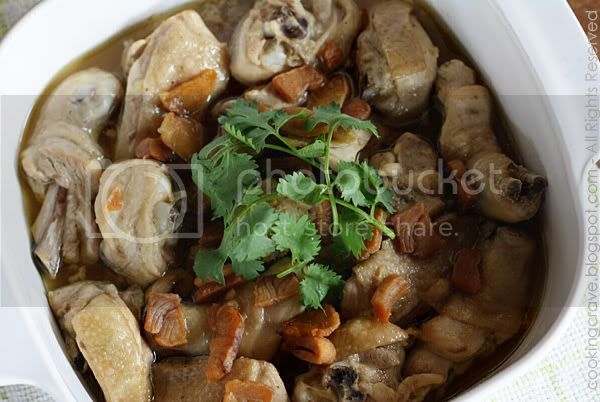 You can try this simple yet tasty Steamed Chicken With Salted Fish. I always try not to eat or cook too much fried food which I found it's unhealthy, I prefer steamed recipes than fried one. 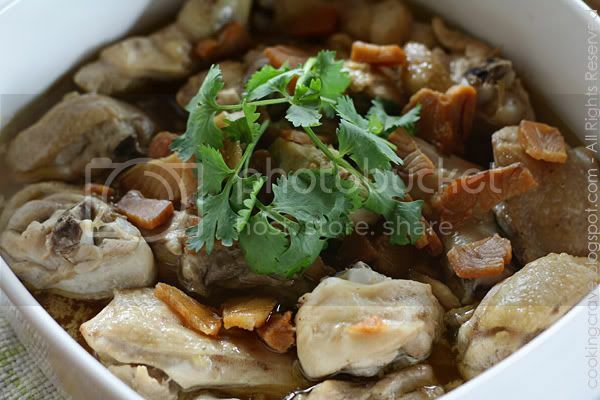 This steamed chicken with salted fish is easy to prepare and it's a good choice when for those who are lazy like me ~☻ Come on, do give it a try!! Remove as much fat on the chicken pieces as you can see. Clean and season the chicken with marinade ingredients for several hours or preferably overnight in the fridge. Heat the wok with oil, stir in ginger and fry till fragrant (but not crispy). Add chicken and stir-fry briskly until heated through. Dish out chicken and arrange on a steaming plate. Fry salt fish with a little oil till light golden brown and crispy then sprinkle over the chicken. Steam over rapid boiling water for 20-25 mins until the chicken is tender. Serve hot with rice. Notes: If you don't want it too oily, reduce the amount of oil used for frying as much as you can. 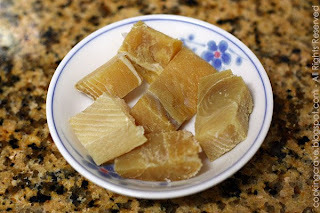 Always add less soy sauce first, the salt fish might produce saltiness to this dish and just add the soy sauce to taste after the dish are cooked. An unsual combo! That dish looks so good and flavorful! Yummy!